What’s your least favorite golf cliche? For many, and not without reason, it would be “hidden gem.” So you won’t be reading that hackneyed description in this space. But Salem Golf Club, in North Salem, New York, unknown to this writer until a recent visit, really punches above its profile in Westchester County, home to numerous household names like Winged Foot. Indeed, Salem’s understated, no-tee-time atmosphere is a huge part of its appeal. Amid dispiriting news in recent years about golf course closings, Salem celebrates its 50th anniversary at near-capacity membership, having undergone a series of capital improvements to the course and the club’s buildings. Presently under construction is a new pool and pool house, along with lockers, spa, fitness equipment, studios for yoga and Pilates, and a space dedicated to children’s activities. The course has undergone periodic renovations of tees, greens, and bunkers, and, like many courses in the Northeast this season, was in superb condition. Playing 6,800 yards, par 72, slope 139 from the back tees — there are four other sets — it makes great use of the 165-acre site’s rolling, tumbling terrain. The greens, while not extremely contoured, are slick and deceptive. 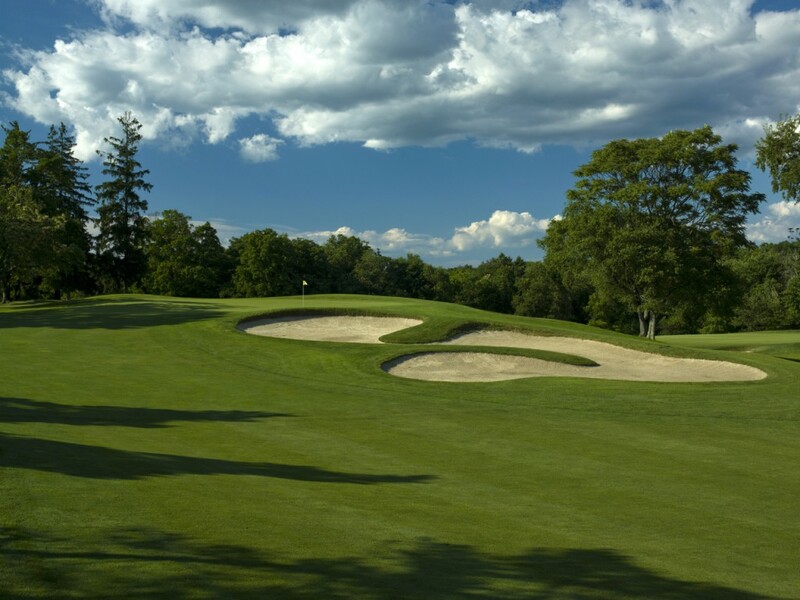 It was designed by Edward Ryder, something of an enigma in golf course architecture, as he completed only a handful of layouts — the exact number seems in dispute — among them Richter Park, a municipal course in Danbury, Connecticut, a perennial presence on “best public” lists. While the renovation and extension of the 110-year-old stone clubhouse has expanded its amenities, the building, originally part of an estate, maintains an intimate feel. Think Shinnecock, not Westchester. Maybe it’s the name that helps keep Salem’s stature in the golf-rich region on the low side. After all, what state doesn’t have at least one Salem? Certainly Salem Golf Club is yet another example of one of the game’s most alluring aspects: Tough times or not, a great golf experience is frequently right around the corner. Of course, the members and staff we encountered at Salem seem happy right where they are.